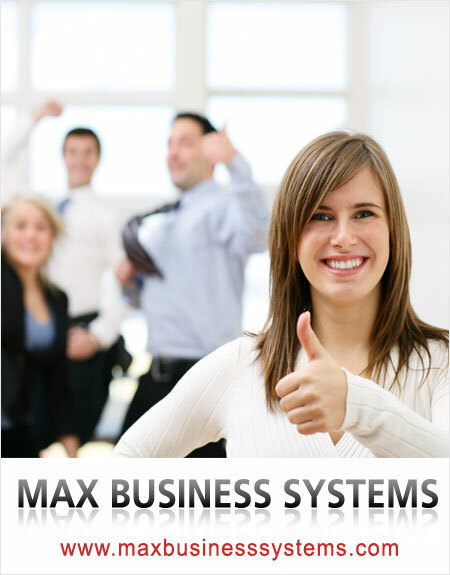 Max Business Systems, believe in building a team of talent. And offer a highly charged work-environment with countless growth opportunities. We truly believe that our employees are our greatest asset. People with diverse backgrounds and work experiences flourish at Max Business Systems because we are all united by something unique: a passion for excellence, managing business processes and a commitment to work as a team. We are always looking for bright and dedicated professionals to join our company. Academics and other skill-sets aside, we require enthusiastic individuals with a strong sense of commitment and integrity. If you think you have it in you, then click on our Email Id's to send us your resume or Bio-Data. or contact through our numbers.